Rarely does the big screen see such powerful exercises in pure cinema. Cuarón is a visionary director, and here he unleashes all of his skill to deliver one of the most awe inspiring entertainments to come along in years. It is a film that demands to be seen on the biggest screen possible, one where the price of the 3D upgrade is actually worth it. 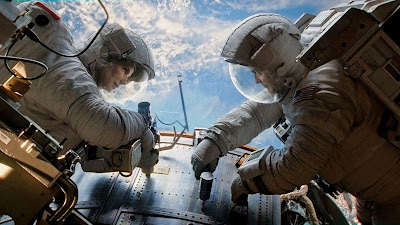 This is the kind of film for which 3D was made, and lest anyone think this is just a throwaway piece of sci-fi fluff, Sandra Bullock delivers the performance of her career, adding emotional heft to the jaw dropping special effects.